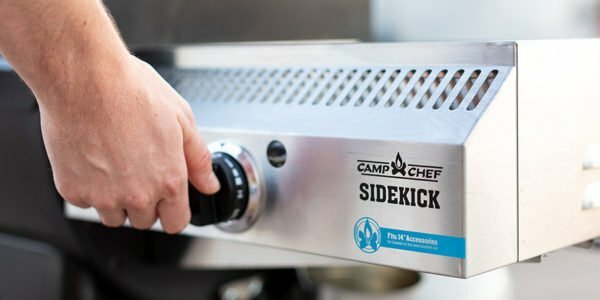 You love your Camp Chef pellet grill and Sidekick accessory–you use it all the time! It’s versatile/removable features allows you to swap out for your favorite cooking styles. But with diversified cooking comes diligent cleaning. Show your Sidekick some love this spring. 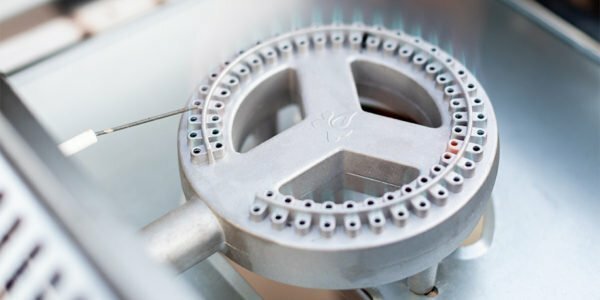 Please note that all cleaning and maintenance should take place once the appliance has completely cooled and after the fuel supply has been safely turned off at the LP cylinder. Cleaning should be done in an area where detergents won’t harm the patio or lawn. Daily: To protect your Sidekick from rusting, the unit must be kept clean and covered at all times when not in use. Purchase a patio cover here: 24-inch or 36-inch. After Each Cook: We recommend a light clean and wipe down of both the interior and exterior of the unit. Clean your included griddle after each use. Be sure to dispose of the contents in your grease cup between cooks. Monthly: Clean and inspect the burner monthly. Your Sidekick comes with an included griddle surface. 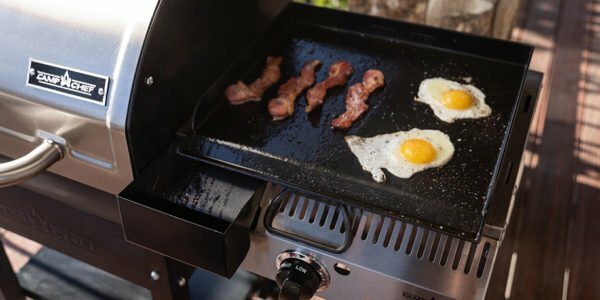 Note that the True-Seasoned Finish means your griddle is ready to cook on and with the proper care will get better with use. Its natural non-stick surface is great for grilling or frying breakfast, lunch, or dinner. While it does have a built in grease managment system and grease cup, your griddle needs to be cleaned after each use. To clean: After each use, allow the appliance and griddle to cool completely. Wash with hot water, and a mild dishwashing liquid. Rinse and dry thoroughly. Never scour or use a dishwasher. For tough, baked on spots, we suggest using a plastic scrubber or plastic pan scraper to remove those stubborn food particles. To season: Slowly warm the steel griddle on a burner. 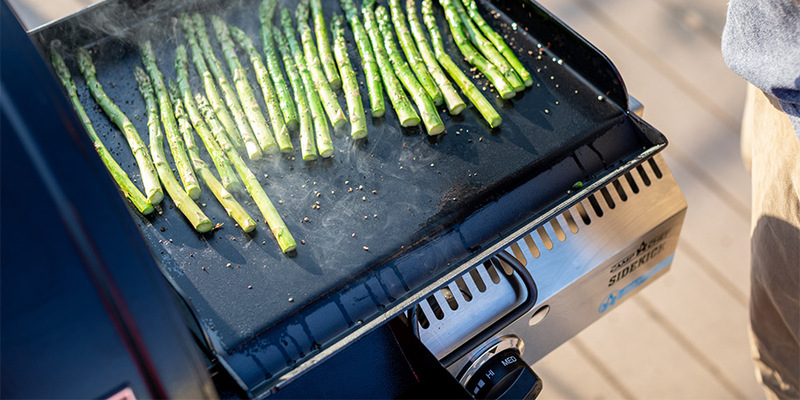 Lubricate griddle with a thin coating of Camp Chef Conditioner or olive oil. (Camp Chef Conditioner is recommended because it is palm oil based which gives it a longer shelf life than any other natural oil) Be certain that the entire surface, including all corners, have been coated thoroughly. This will help maintain the seasoning on your cookware. 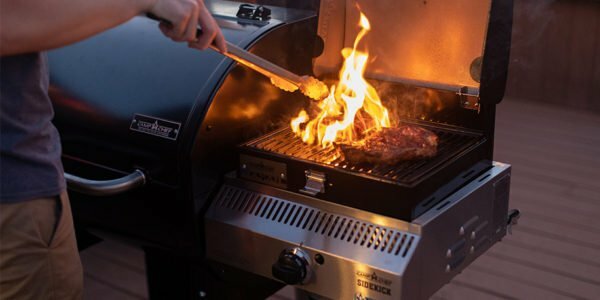 This seasoning protects the steel from rust, as well as provides a durable coat that helps preserve its non-stick properties. After griddle cools, wipe off excess oil/conditioner with a clean cloth. Finally, store in a dry, clean area. Clean pots and pans with hot, soapy water. Spiders and small insects can spin webs and build nests inside the burner. This especially occurs in late summer and fall before frost when spiders are most active. These nests can obstruct gas flow and cause a fire in and around the burner and orifice. Such a fire can cause operator injury and serious damage to the appliance. To help prevent blockage and ensure full heat output, clean and inspect burner tube often (once or twice a month). Use a wire brush to loose corrosion from burner exterior. Clean clogged gas portholes with an opened paper clip. Will you have much spring cleaning to do on your Sidekick? Let us know in the comment section below!